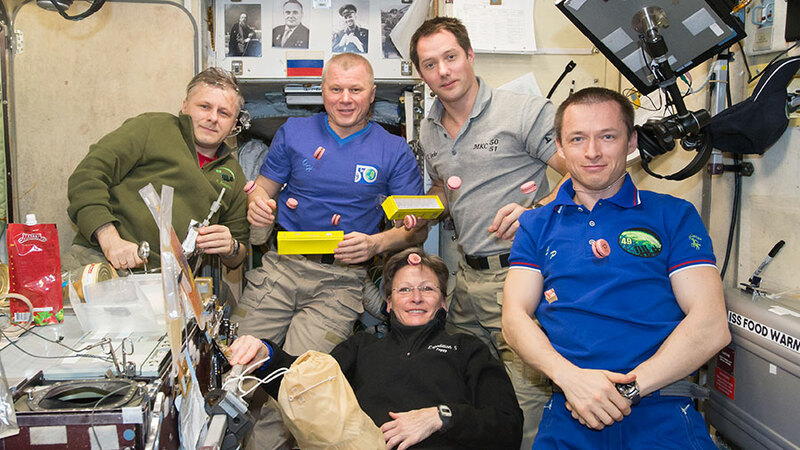 Five Expedition 50 crew members gather in the Zvezda service module for mealtime. Clockwise from bottom are NASA astronaut Peggy Whitson, cosmonauts Andrey Borisenko and Oleg Novitskiy, ESA astronaut Thomas Pesquet and cosmonaut Sergey Ryzhikov. Four CubeSats were deployed this morning as the crew researched fluid shifts toward the head that may affect astronaut vision. 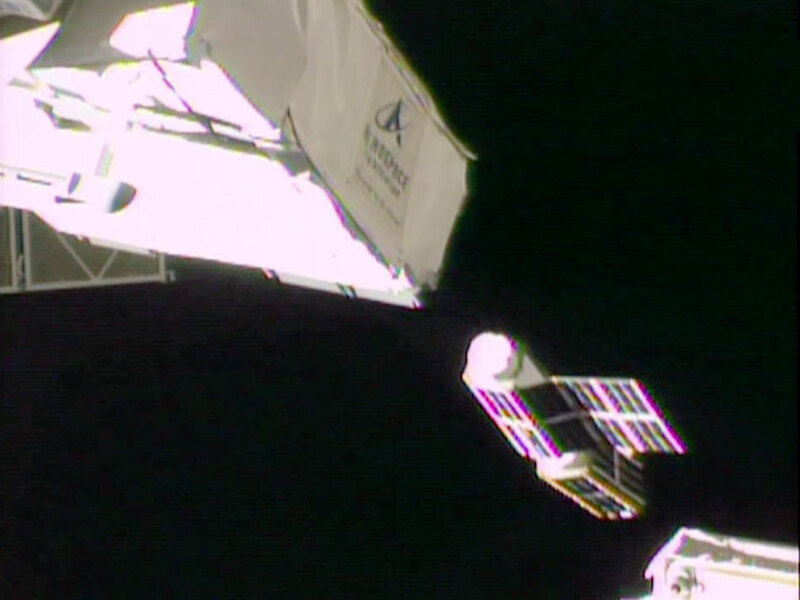 Tools were also being collected and organized today ahead of possible maintenance spacewalks. 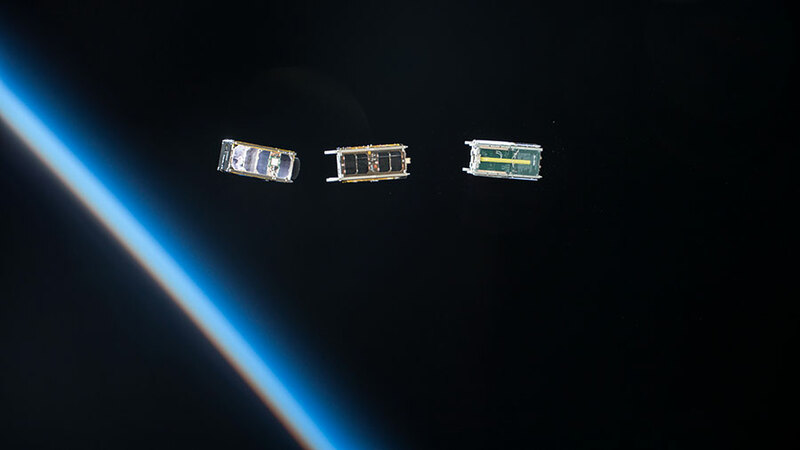 Four CubeSats were ejected Monday morning from outside Japan’s Kibo lab module using the NanoRacks CubeSat Deployer. 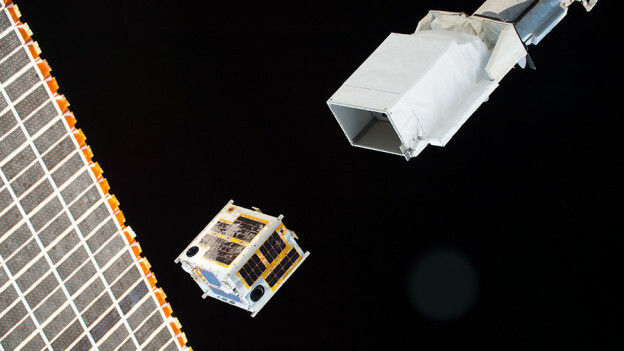 The LEMUR-2 satellites will help monitor global ship tracking and improve weather forecasting. Sergey Ryzhikov from Roscosmos participated in ultrasound scans of the head and neck for the long-running Fluid Shifts study. Thomas Pesquet from the European Space Agency joined Ryzhikov for the experiment to learn how to prevent upward fluid shifts that may cause lasting eye damage. 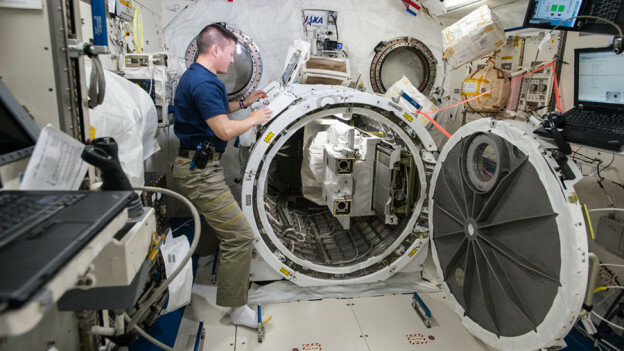 Commander Shane Kimbrough worked inside the Quest airlock today gathering spacewalk tools. Mission planners are looking at potential spacewalks to continue upgrading the International Space Station’s power systems. 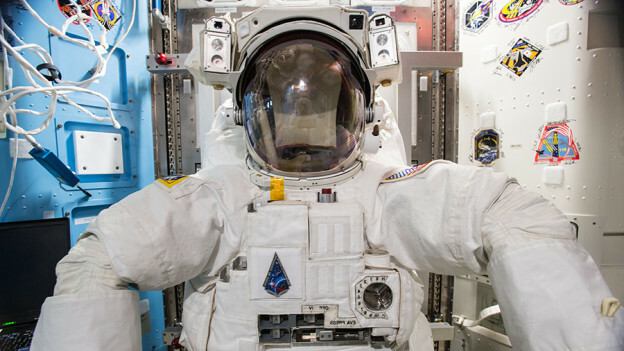 A U.S. spacesuit is pictured inside the Quest joint airlock. The crew started their day checking out Cubesat gear and researching a wide variety of science to benefit humanity on and off Earth. Later, two astronauts tried on their spacesuits to ensure a good fit before next week’s spacewalk. Commander Scott Kelly and Flight Engineer Kjell Lindgren were in the Kibo lab module Thursday morning inspecting and photographing a small satellite deployer mechanism. 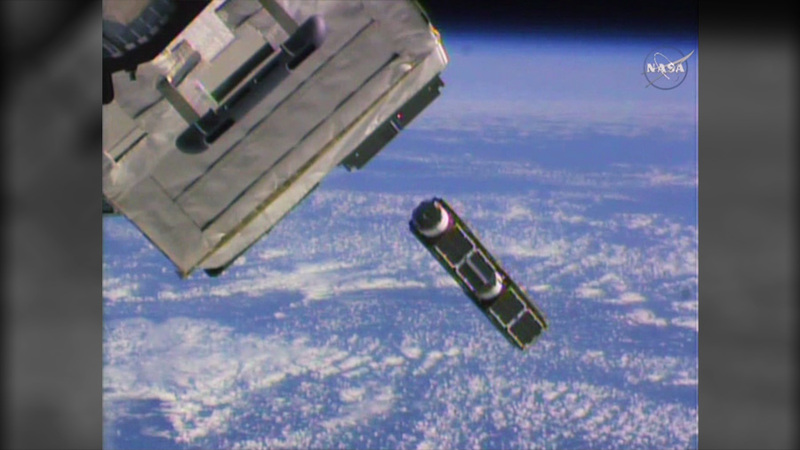 The mechanism failed to eject a pair of Cubesats two weeks ago and payload controllers are troubleshooting the issue. During the afternoon, the duo got back together inside the U.S. Quest airlock and tried on the spacesuits they will wear on spacewalks scheduled for Oct. 28 and Nov. 6. They were assisted inside the airlock by Japanese astronaut Kimiya Yui and cosmonaut Sergey Volkov. Yui will guide the spacewalkers and operate the 57.7 foot Canadarm2 robotic arm during the spacewalks. More human research took place today as the crew looked at brain adaptation and cognitive performance on the space station. The crew also explored sleep disturbances and changes in cardiac and respiratory behavior during long-term missions. The astronauts in the U.S. segment of the International Space Station continued more cable work and life support maintenance. 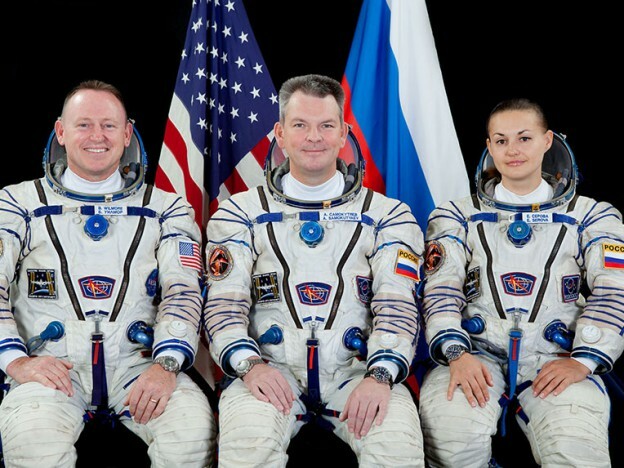 The cosmonauts conducted a wide array of Russian science experiments studying human research and physics. More Cubesats were deployed today from a deployer mechanism attached to Japan’s Kibo lab module. Wednesday will be the last day for this series of Cubesat deployments. 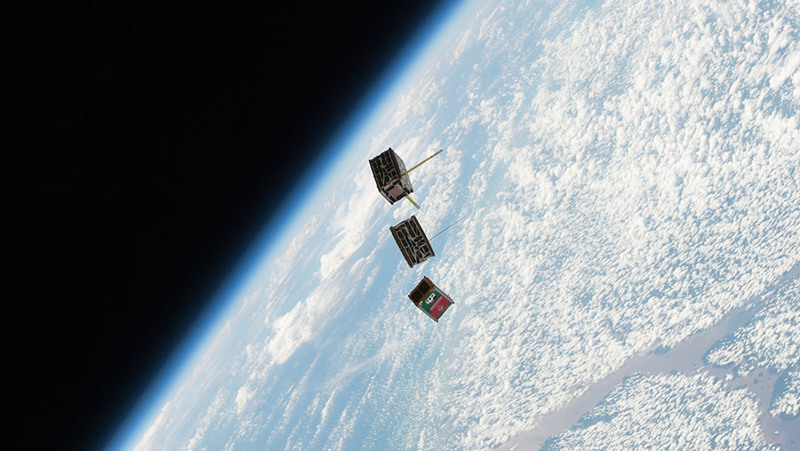 In all, 16 Cubesats will be deployed this week researching a variety subjects including navigation, communications and Earth observations. Expedition 45 Commander Scott Kelly teamed up with Flight Engineers Kjell Lindgren and Kimiya Yui today to reroute cables from the Tranquility and Harmony modules to the Unity module. The cable work will set up Unity, the first U.S. station module, to receive the Orbital ATK Cygnus cargo craft due in early December. Cosmonauts Mikhail Kornienko and Oleg Kononenko spent Tuesday morning working on a Russian treadmill in the Zvezda service module. Kornienko then moved on to the Interactions study of crews working with ground support while Kononenko studied chemical reactions in Earth’s upper atmosphere. Flight Engineer Sergey Volkov participated in a pair of experiments, Cardiovector and Cosmocard, researching the adaptation of the human blood circulation system to microgravity. After some life support maintenance work, he moved on to more science exploring magnetics.